Guests will enjoy lunch and dinner are served with piano accompaniment daily while a jazz trio plays on the patio during Sunday Brunch. 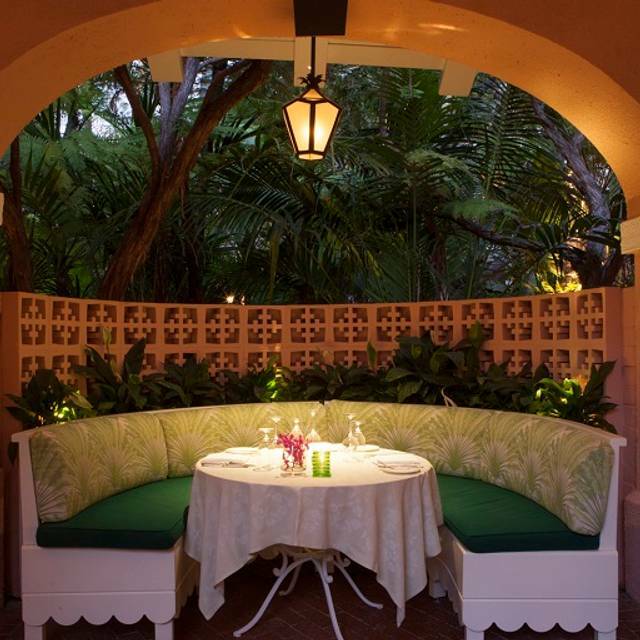 Polo Lounge features two private dining areas for intimate parties from 12 – 70 guests. Our team will work with you to create a bespoke menu for any occasion. Contact our catering specialists at 310 281-2916 for more information. 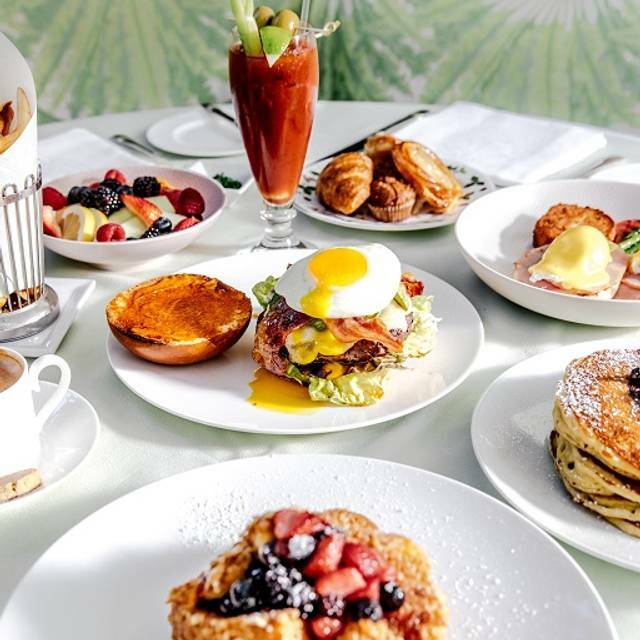 The Polo Lounge has been the favorite breakfast spot and watering hole for generations of stars and Hollywood deal-makers. 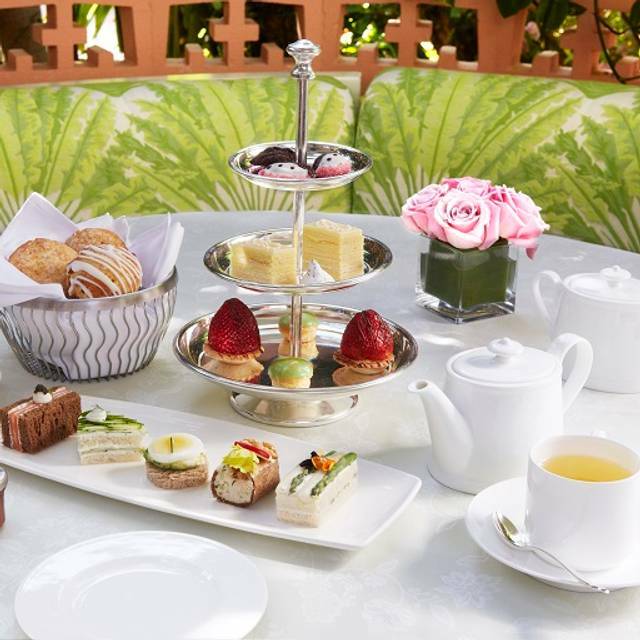 Guests enjoy indoor and outdoor seating for breakfast, lunch, afternoon tea, dinner, and late-night suppers. Lunch and dinner are served with piano accompaniment. A jazz trio performs every Sunday on our Polo Patio to complete the signature brunch experience. In the evening, guests can come to relax and enjoy one of our many specialty cocktails or one of our old favorites. 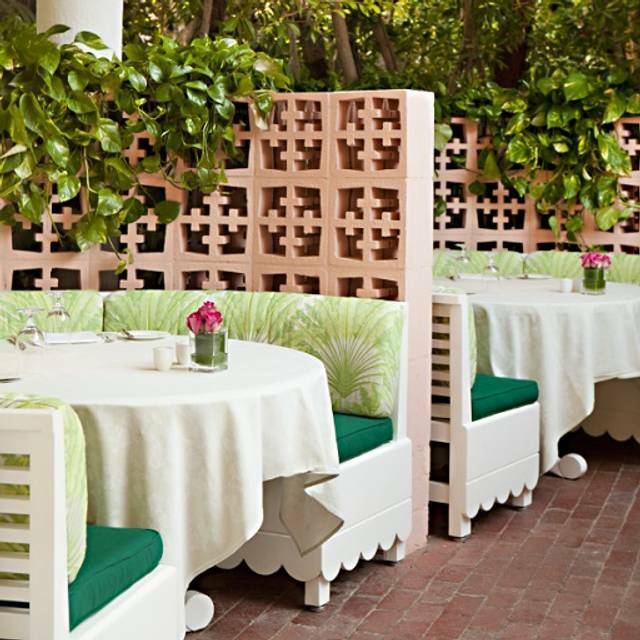 The Polo Lounge at The Beverly Hills Hotel is a classic in Los Angeles and a must for meetings, lunch or dinner. 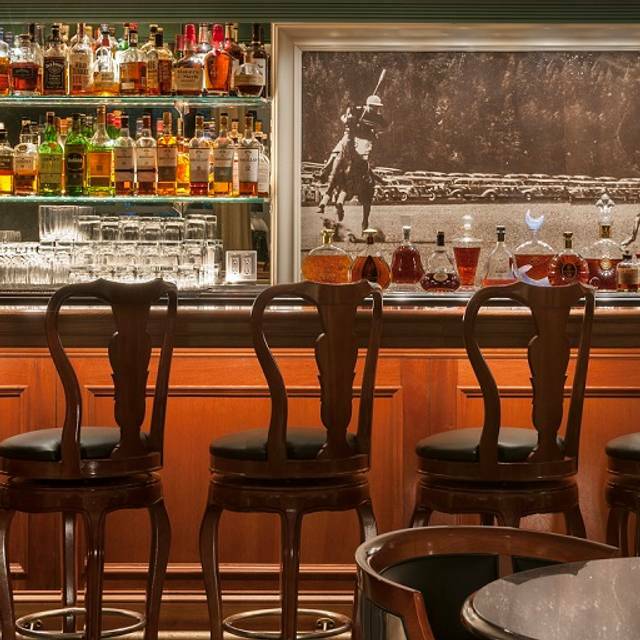 One can not boast too much of the ambiance at the Polo Room at the Beverly Hills Hotel! It just speaks of timeless history while making new waves in the restaurant world. The service was cordial, yet professional, and the food was superb! Will dine there again while in LA the next time. Came here for champagne and there famous Soufflé and to listen to the pianist . I reserve my table 2 weeks in advance and requested to be seated by the pianist. To my surprise unpin arrival it wasn’t so busy for a Saturday evening at 9pm the hostess sat my husband and I towards the back were a huge pile covered my entire view of the pianist which was very disappointed and un enchanting . The Soufflé was amazing and the service from our waiter was great . Outstanding service. Relaxing vibe. Great food. Everything was fabulous- beautiful patio seating that was very private. Live music, delicious food and overall great old Hollywood feel. Highly recommend their desserts and cocktails. The service was excellent and very accommodating! would defo go back again. Awesome as usual! (I travelled in from Washington DC) Food and service is the best! Sasha was an impeccably professional and gracious hostess. She helped me handle an unfortunately rude couple next to me awaiting a table. Reaz my server was utterly perfect as well as delightful in personality. Will always return! Amazing experience. A first for my boyfriend and I. Delicious scallops and crab cake. “Think Pink” drink was perfect. Great service. Professional waiters. Hostess was extremely nice. We will be back regularly. Fantastic experience for my birthday very helpful staff especially our waiter think his name was nick,lovely food highly recommend it. Great space and ambiance. Service was initially poor but a new waiter mysteriously took over our table. And he was great. The crab cake appetizer was good but nothing exceptional. The $64 salmon was mediocre and the similarly priced filet was only marginally better. The wine list however was very strong. 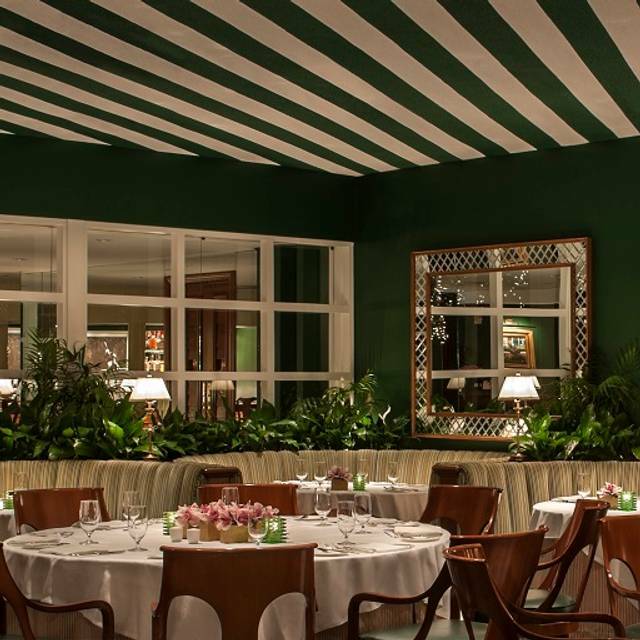 Overall The Polo Lounge is replete with a wonderful history but the kitchen is surprisingly weak. Value received was poor and will not be frequenting again. 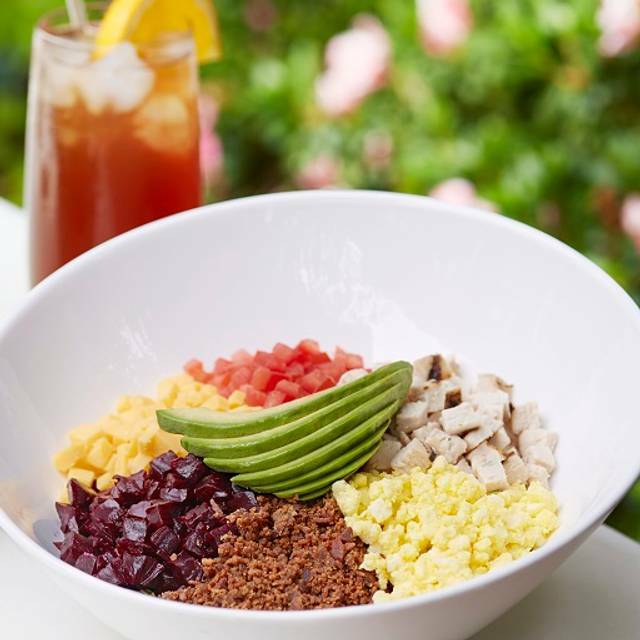 There are a host of truly great restaurants in LA. This is not one of them. I had the lobster risotto followed by fillet Mignon; it was sublime! We were sat in the garden area which has a lovely atmosphere. Wonderful experience staff is VERY nice!! Definitely will be back! This is just an amazing place. The food and the staff are tremendous. Polo Mgmt says jacket preferred yet at 9:30pm there’s guests wearing t-shirts and backwards hats. Either update your rules or follow them because it lowers the pristine of the Polo Lounge. Food was very good as usual. Wonderful experience as always. The chocolate soufflé is a must-order! We had the best time at the Polo Lounge for our anniversary. Douglas made our evening even more spectacular. 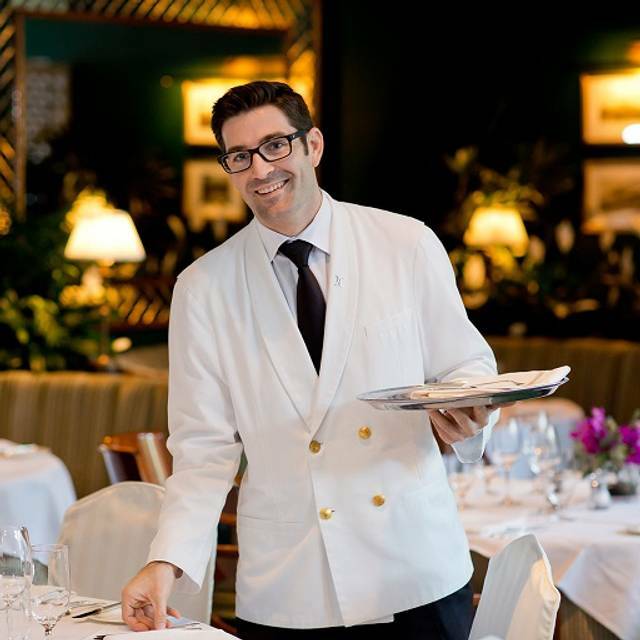 Yes, the drinks are delicious, and the food too – don't forget about the soufflé! Save room! Amazing from start to finish. Excellent customer service and the food was fantastic, especially the chocolate soufflé! Finished off at the valet being stood next to Sharon and ozzy Osborne! Politics aside, I love The Beverly Hills Hotel. It is an amazing property and run quite well. Food was delicious, service could have been more attentive, but by no means bad. It was raining and the patio was closed, so, perhaps things were thrown off. We were in no hurry as we were hotel guests. Went to the room for room service deserts from the restaurant menu. Just quieter. The piano, while nice is a bit much. I would prefer it to be background music..... others may not agree. 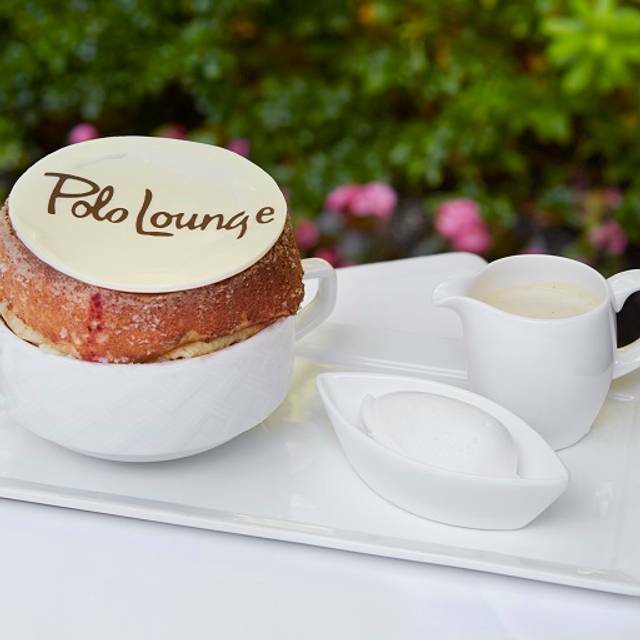 Our dining experience at the Polo Lounge exceeded our expectations. Every staff member we encountered was professional and friendly. It almost goes without saying, the atmosphere was perfectly classic. The live music set the tone for a relaxing meal. The food was simple, but prepared just right. It was the perfect way to spend our last evening in La La Land. What else needs to be said? This is the place to be in LA - you can be as casual or dressed up as you want, the service is off the charts, the drinks are wonderful and the food is fabulous. Treated like a superstar. Live music was a plus. Absolutely fantastic. As far as I'm concerned this has been and remains one of the nicest, yet laid-back, restaurants in the city. Amazing service, food and ambiance! We had a wonderful late lunch. Food was delicious, service was great. I’m pretty sure we saw Leah Michelle.